Surrounded by her mother's extended family, Olivia Batista lives an idyllic childhood in Panama on her grandmother's expansive property. When her mother finds new love with Andrew--a man Olivia calls "the Magician"--the three begin a new life in New York. Growing up in the United States proves anything but seamless for Olivia as she faces language barriers, new responsibilities, and her new step-father's family. Just as she begins to adjust, an incident at home leaves Olivia traumatized and torn between family loyalty and personal dignity. As she reaches adulthood, she must learn how to leave her past behind and follow her heart home. 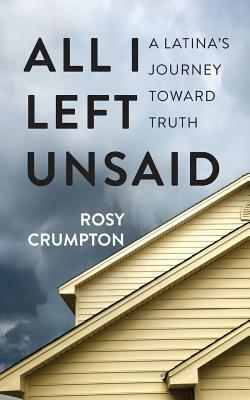 Based on true events, this coming of age novel from Rosy Crumpton celebrates Panamanian culture while exploring themes of family, home, and the secrets that divide.